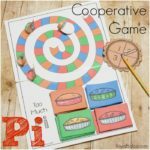 We love making math hands on and the counting mats have been such a hit! Now that we’re working with larger numbers, I wanted to make a version of the counting mats with two 10-frames! We need to practice counting all the way to 20! And thus, the addition mats were made. 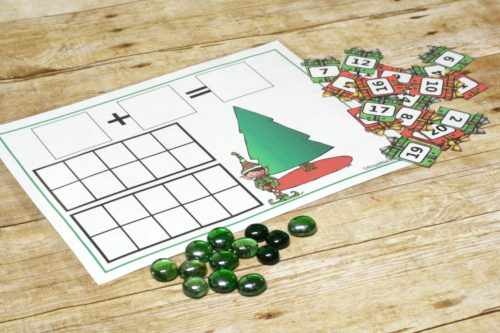 They can also be used for subtraction and counting! I added a portion on these mats for writing in the numbers. So I laminate the boards and then we can use a dry erase marker to write in the equations. I also laminated the presents so they were easier to manipulate. They were a pain to cut out but really great for working with numbers. You’ll have to decide if it’s worth it for you! 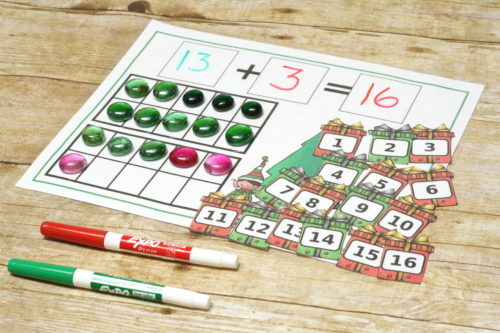 I often determine the numbers that we’re adding and they (especially Logi-Bear at 5) use the gems and presents to figure out the answer. We like using two colors in the markers and gems to represent that we’re adding two addends. Then we may use the presents to reinforce the idea. I feel like it adds to the idea that we are combining two numbers! 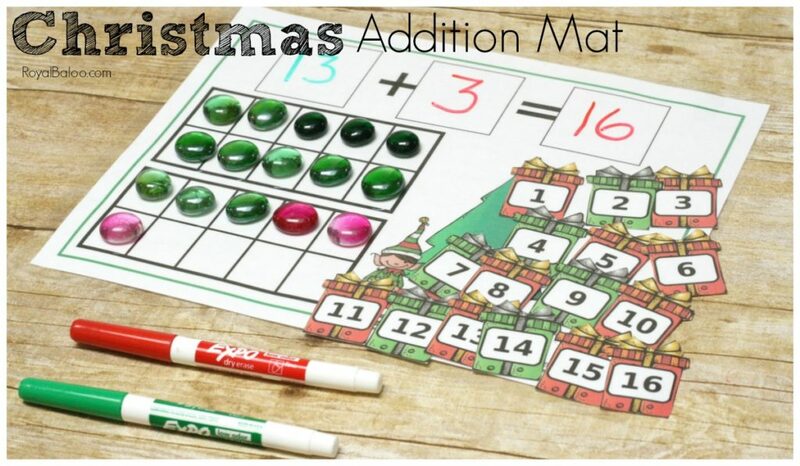 Get your Christmas Addition Mat freebie by subscribing to the newsletter! It’ll in your inbox arrive as soon as your confirm!